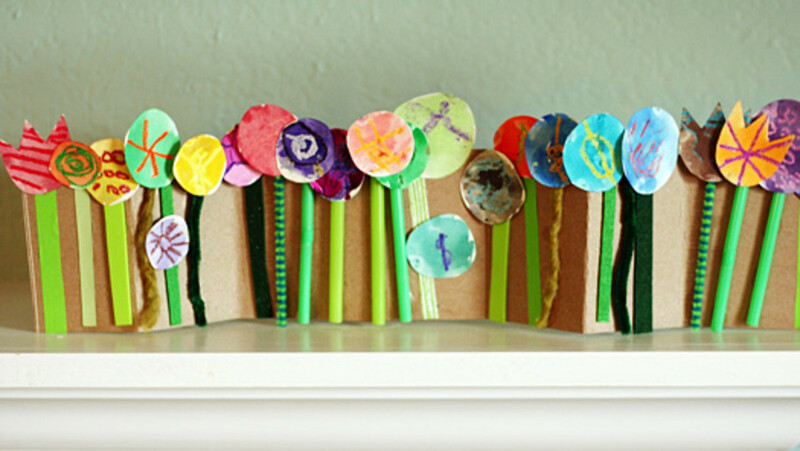 Save your empty cereal boxes and turn them into clever crafts! As some of you may already know, I'm a huge fan of using materials that often end up in the recycle bin or garbage can for making arts and crafts projects. The lightweight cardboard that is used for food packaging is ideal for many different projects. It is comparable to chipboard. In fact, as long as I am saving cardboard food packaging like cereal boxes, frozen pizza boxes, etc. I will never have to buy an ounce of chipboard. 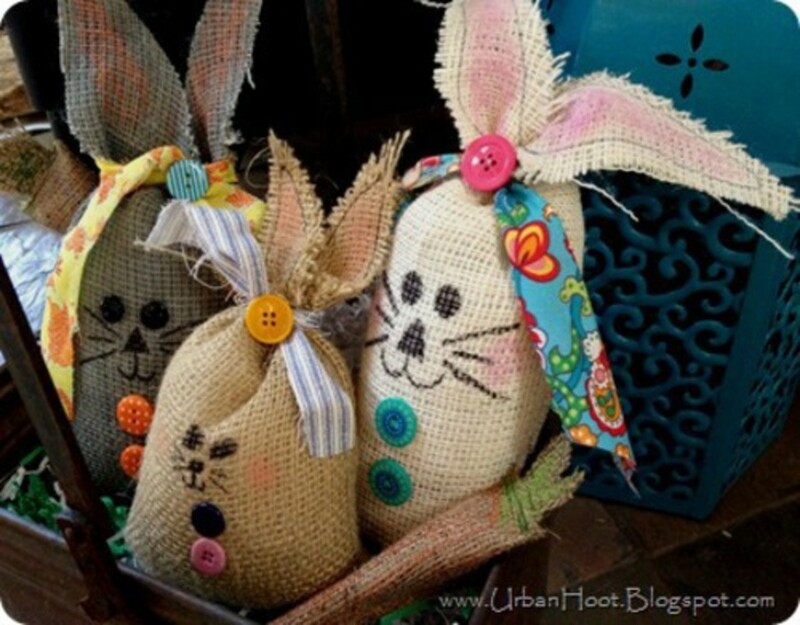 Below is a round-up of crafts made specifically from cereal boxes (and two where cereal boxes can be substituted) that I found at different places on the internet. I wanted to show you all the different things you can do with cereal boxes and just how easy they are to work with. This is just a small sampling of what you can do. Do an internet search sometime and you will be amazed at all the wonderful cereal box and food packaging crafts and many of them with free tutorials. 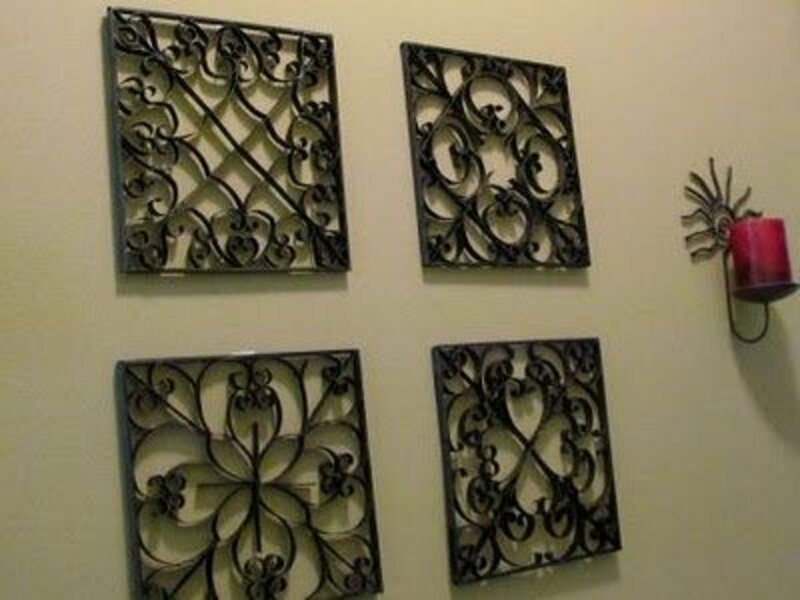 We will start out with home decoration crafts. 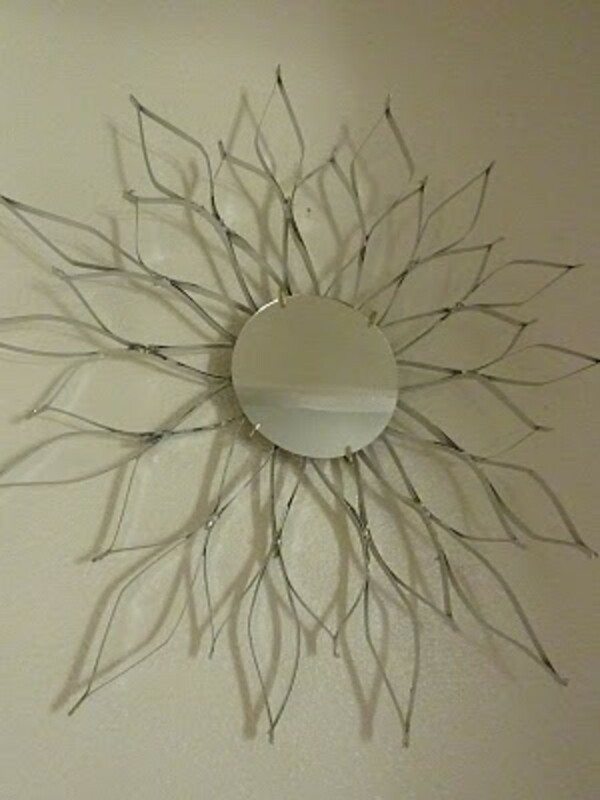 I found this fabulous sunburst mirror at Simply Stoked. The pattern she created with the strips of a cereal box that surrounds the mirror is truly impressive. This decorative mirror is just as beautiful as the more expensive versions but it didn't cost any more than a box of cereal! 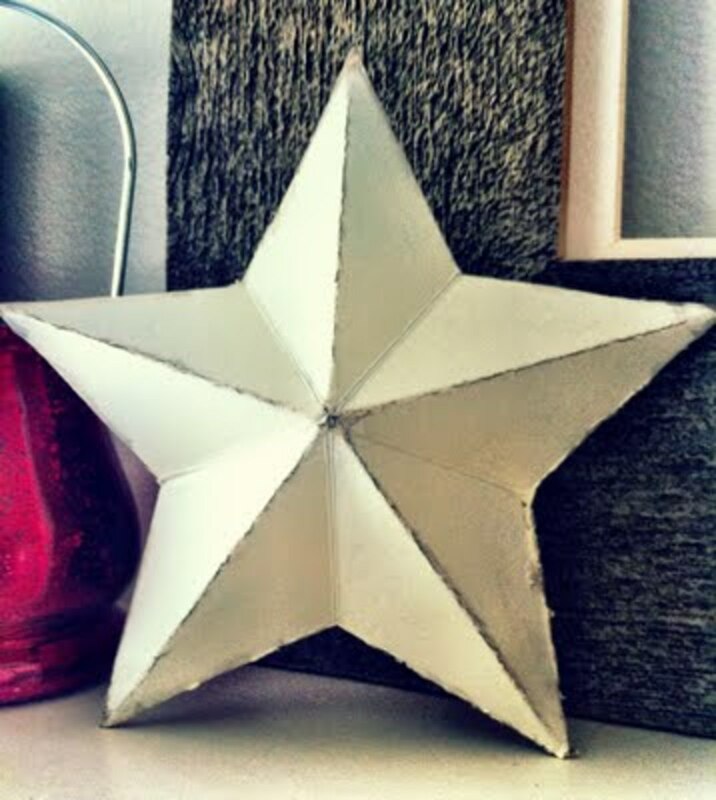 Grey Luster Girl shares how she made this 3D star out of an old cereal box and I must say that to me, it looks just like one of those expensive metal stars that people hang on walls for decoration. I can't help but be excited about this one.. I can't wait to try to make one myself! 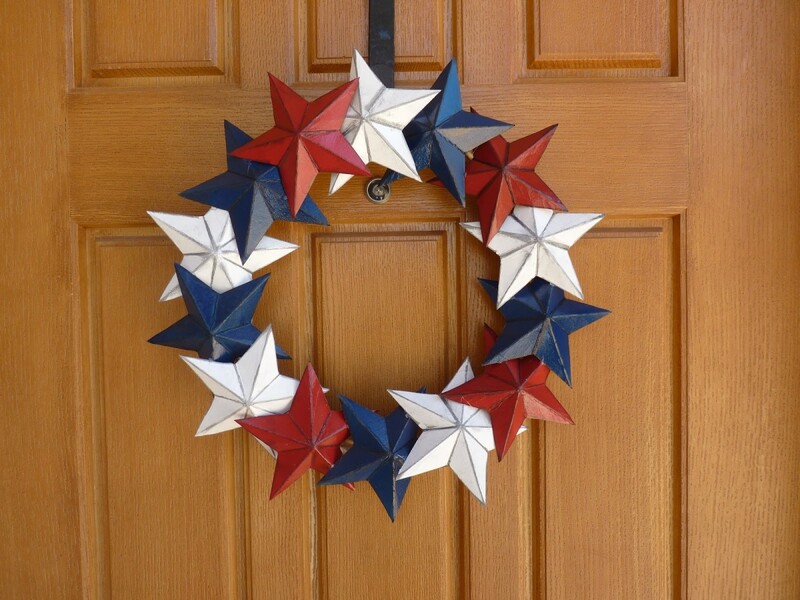 The second picture is of a cardboard star wreath that I found at Learning to Be a Mom. I LOVE it and yes, you guessed it! Each and every star was made using old cereal box packaging. She shares a great photo illustrated tutorial as well. 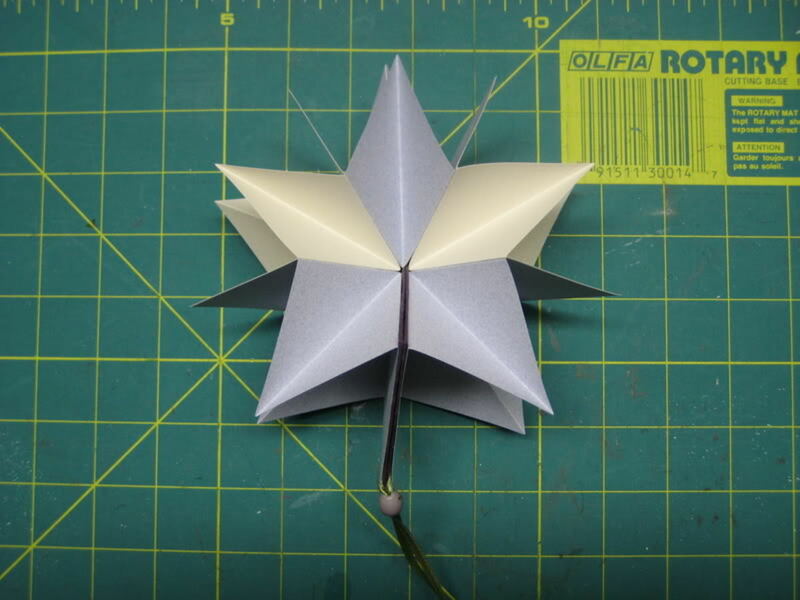 In case you are interested in making one or a few of these, here is a free star template. This large decorative freestanding B I found at Green Zebra Crafts looks like it came right out of a home decoration store, doesn't it?! 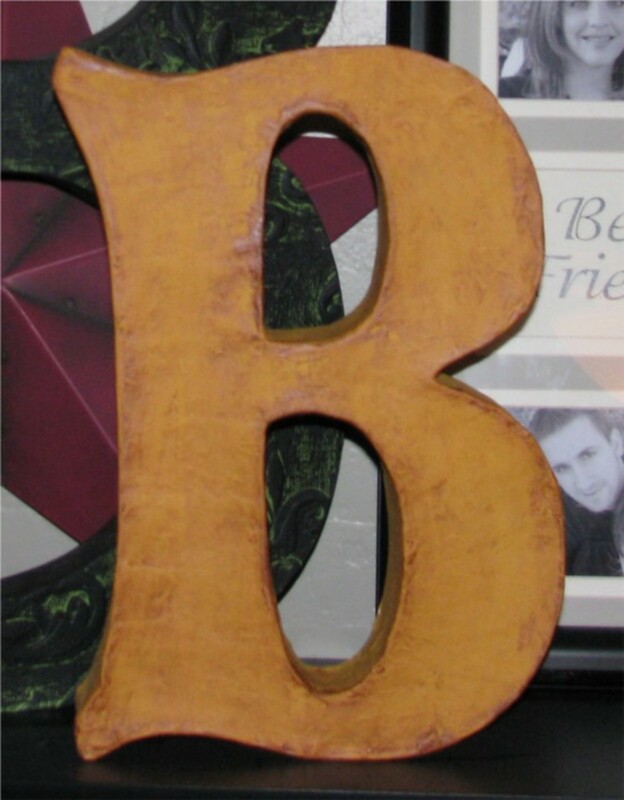 She actually used cereal boxes and tape to form the three dimensional B and then covered it with paper mache. The tutorial is great and full of photos. I think she did a wonderful job. I'm definitely inspired! Got fabric? You can make a fabric covered photo mat using fabric and a cereal box! These were actually made using mat board but cardboard food packaging would work just as well. I wasn't sure If I should share this one just because the tutorial doesn't use a cereal box but these mat boards were just too cute not to share and especially since you could so easily substitute the cereal box for mat board. Go have a look at Delightful Distractions. Ready for some cute notebooks? 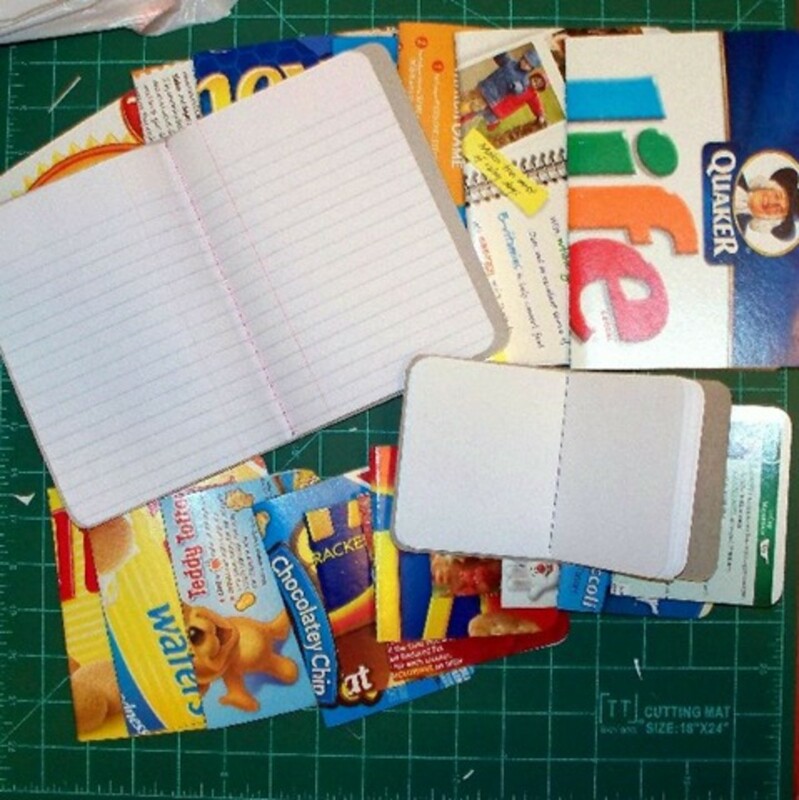 The Long Thread has this very nice tutorial for notebooks made from cereal boxes. You can use the plain brown side of the cereal box for the cover or you could use the actual label side of the box. 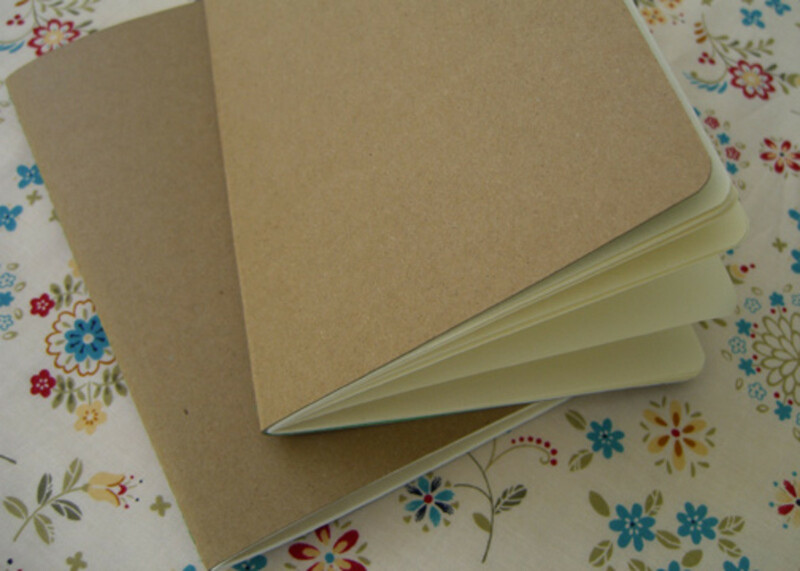 Either way, these notebooks are really nice and easy to make. When I saw this I just couldn't help but share it! 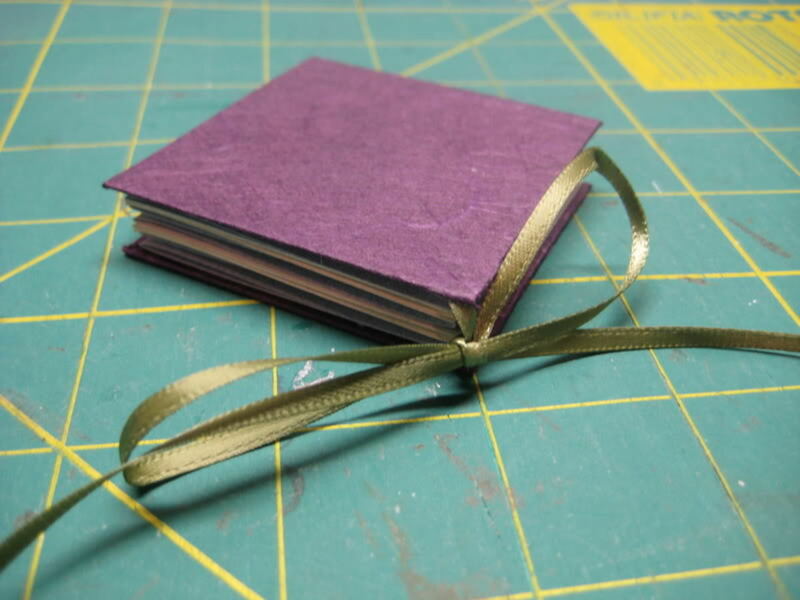 is is a little book that opens up into a 3D star, sort of like one of those pop up cards or like in a children's book and it was made using a cereal box. Kargrrl via Craftster shares the tutorial. I am excited about this one and can't wait to give it a try! 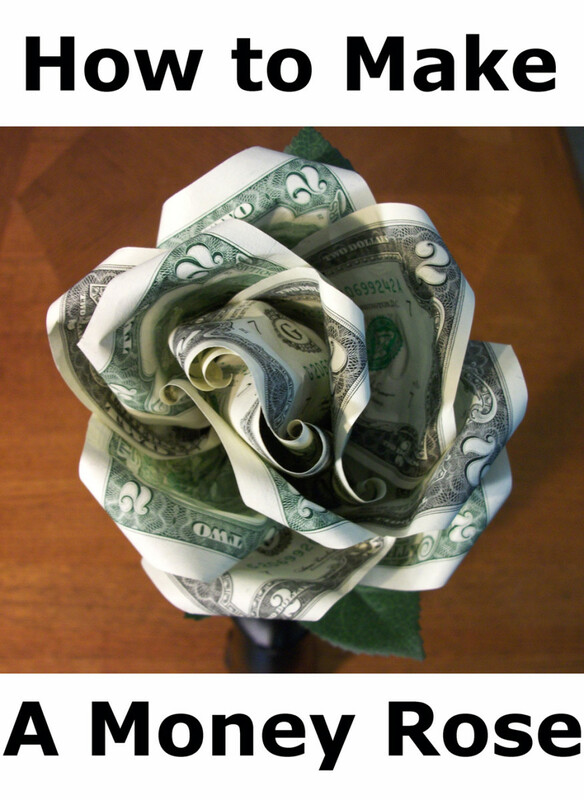 You could make one of these and personalize it anyway you like. 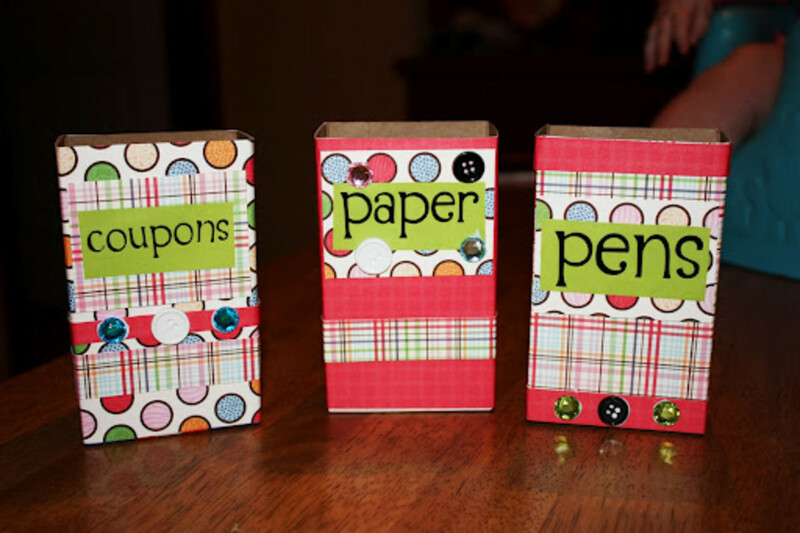 Mini cereal boxes are just the right size for making these little fridge magnet organizers! Busy B Family shares how they were made along with lots of great photos.These are perfect for keeping track of pens, pencils, coupons, small notepads etc.. and aren't they just as cute as a button!?!? This is another great organization craft that I found at Small Fry & Co. They are hanging file boxes made from regular cereal boxes. I think this is such a great idea.. I think they would come in particularly handy for bills and receipts. 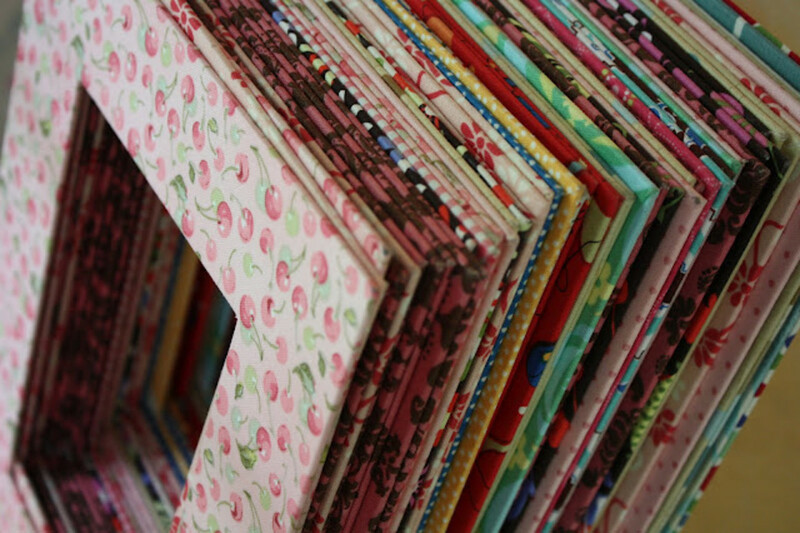 Also, I they would work great for hanging in a craft room to store light weight items like ribbon scraps, paper scraps, etc. 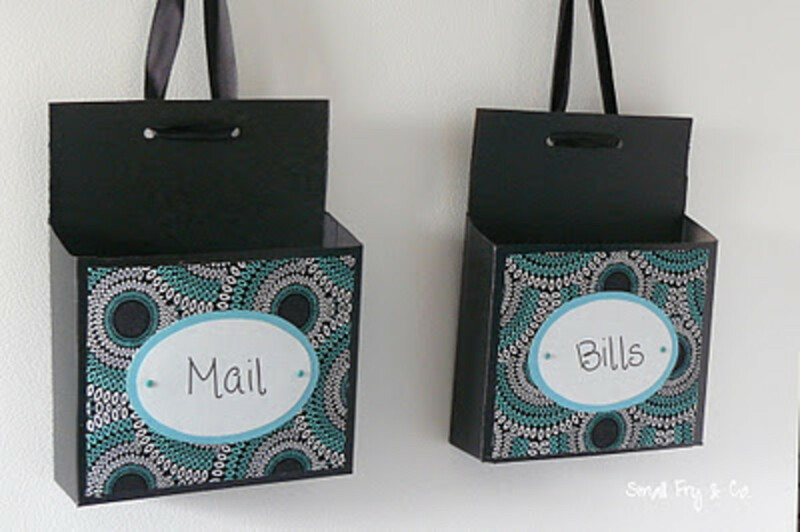 Gone crafting has shared how to make these decorative boxes with recycled cereal boxes! They are surprisingly easy to make. 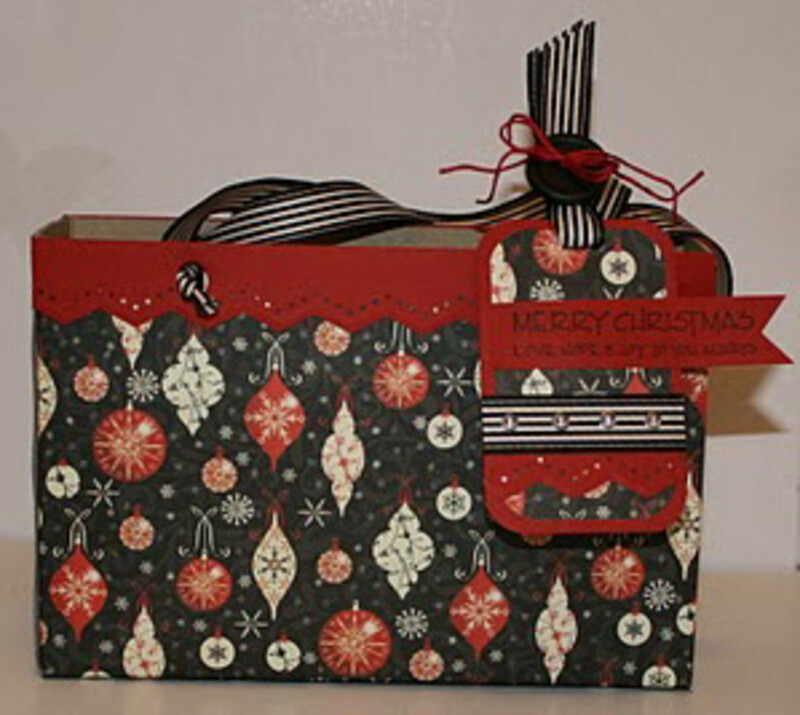 Just a few snips with the scissors and a fold here and there and you have a nice little box ready to decorate. I think these boxes would be perfect for storing photos, keepsakes and special things like that. Need a small container to store paper clips or other small things in? 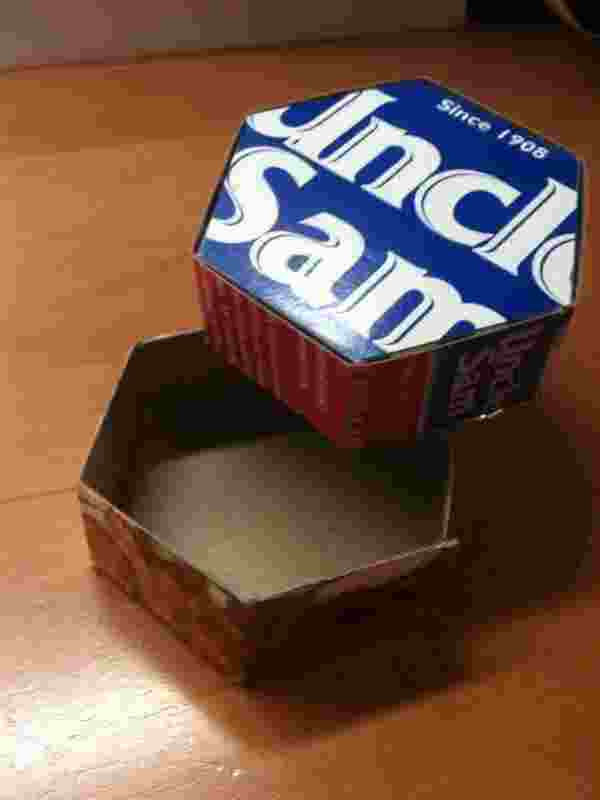 Grab an empty cereal box and see the tutorial over at Attune foods. You could leave it plain or embellish it. You could even use it as a small gift box! I kinda went crazy when it came to gathering up gift bags made from cereal boxes. I had no idea all of the different sizes and shapes! The first cereal box gift bag I found was at Just4Fun2. It was made turning the empty cereal box on it's side. I think it's really cute! 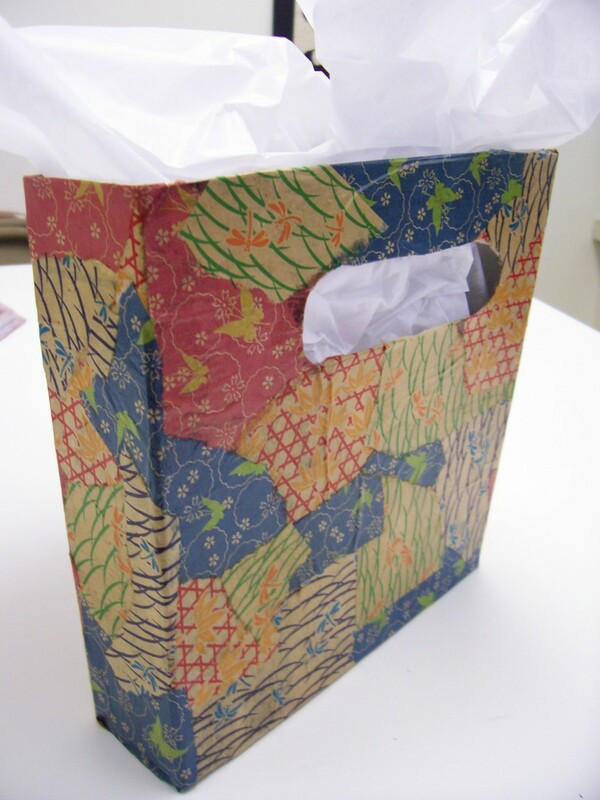 I love the patterned paper she covered it with as well. Perfect for Christmas for sure. The second one I found at Clever Nesting, and this one was made with the cereal box standing straight up. Whether it be on its side or standing up, a cereal box really is a neat packaging idea! She did a great job with this one too. I love the black sheer handles. 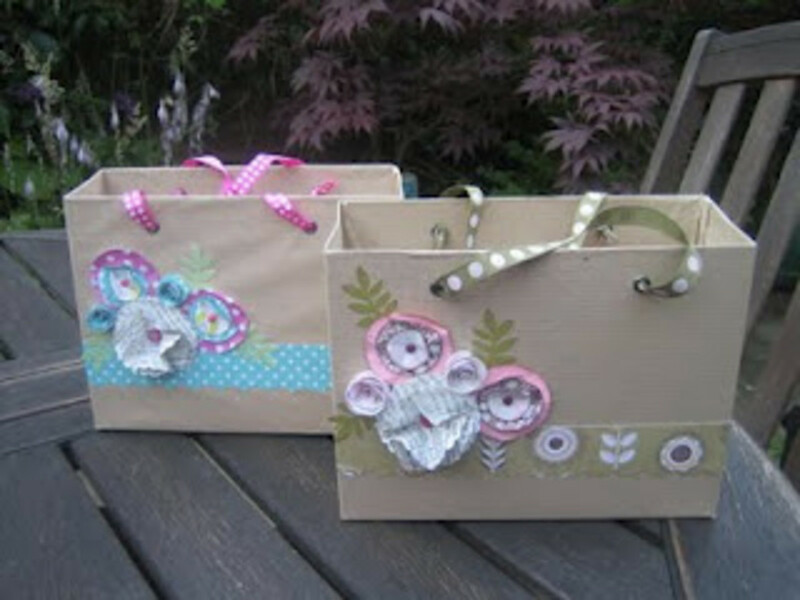 The third photo is a couple of cute cereal box gift bags I found at Carole's Crafty Corner and I love them! The embellishments/finishing touches are so cute. I love the ribbon handles. 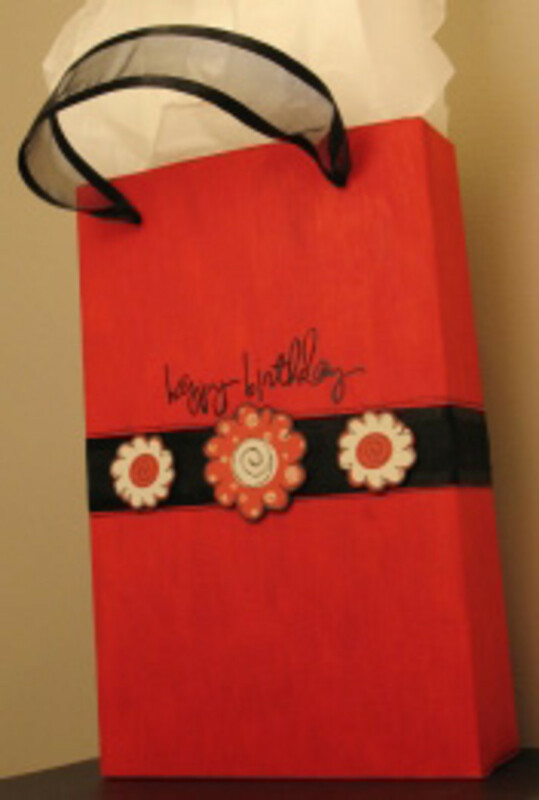 The fourth photo is another cereal box gift bag similar to the others except the handles are cut out on this one instead of using ribbon handles. I think it's really cute! This one was found at superartlady. Just like with the bags, I found a few different types of gift boxes that can be made from cereal boxes. The thin cardboard cereal boxes are made from is perfect for making things like this. The first one I found at Creative Jewish Mom. I love how she decorated them. What cute gift boxes!! 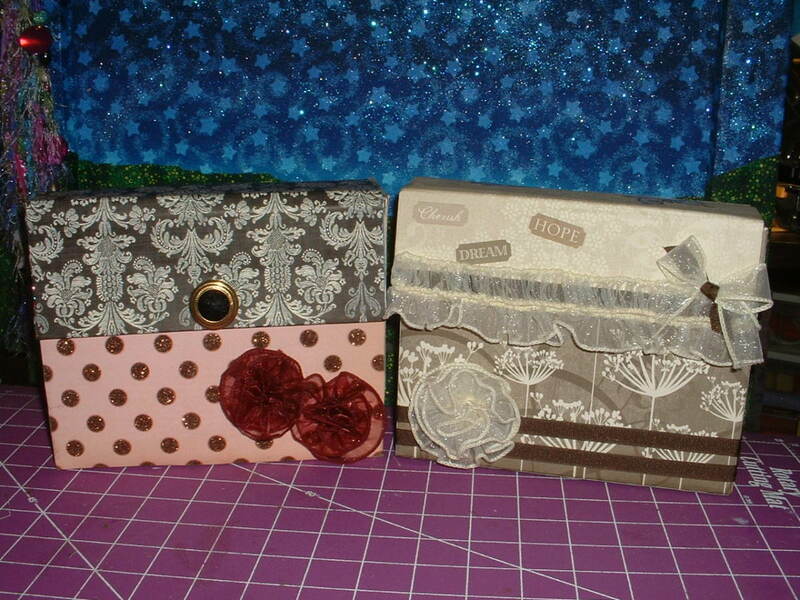 The second photo is of some smaller gift boxes made out of cereal boxes that I found at Compulsive Craftiness. There is a tutorial for them as well. I love how they are the plain brown and ready to be embellished. 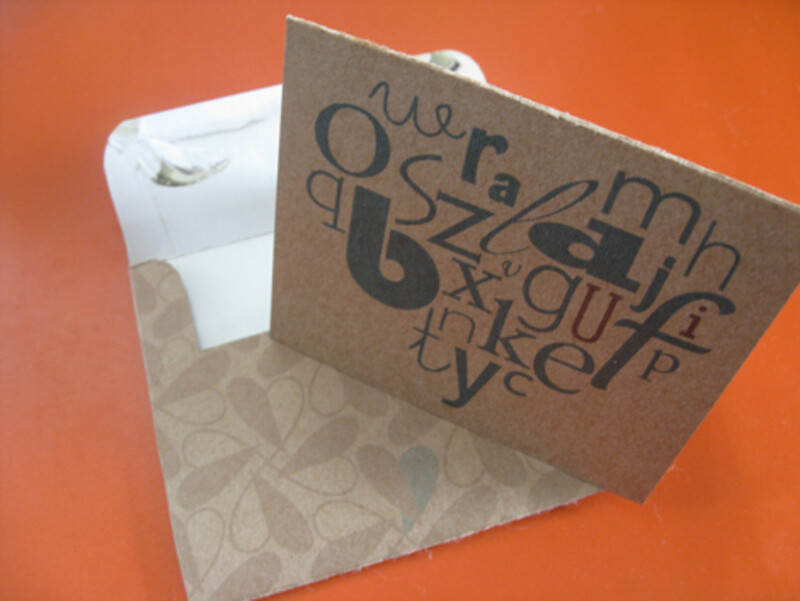 Needing cardstock but don't have any on hand? Why not use a cereal box instead! 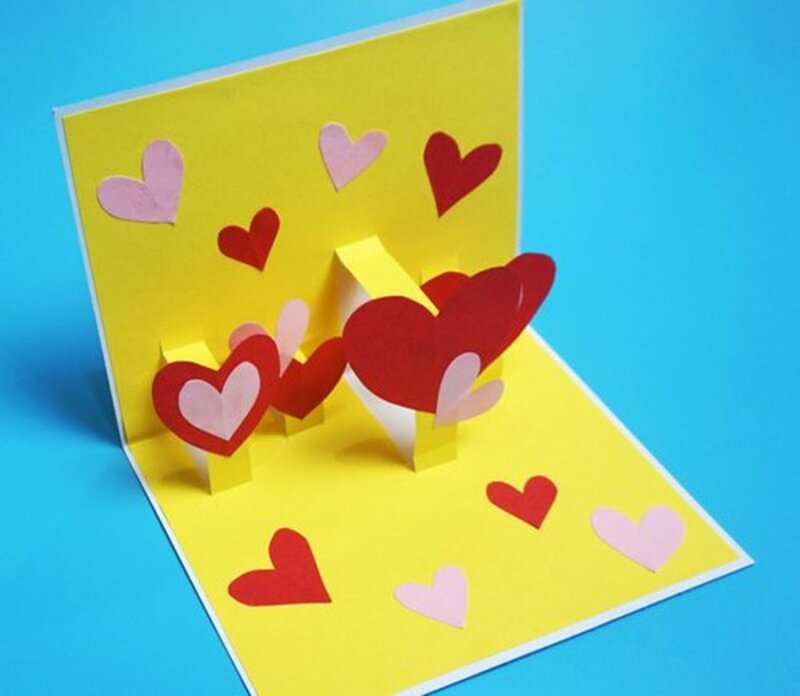 This card was made using a cereal box and printer.. I love how it turned out! Get the how-to and some printable freebies including an envelope template at Lovelihood. 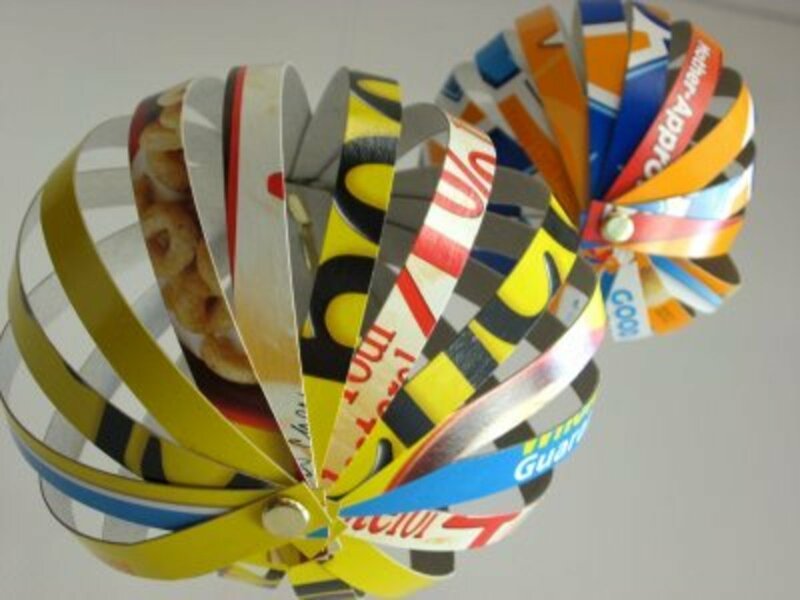 Garland made from cereal boxes...how creative! I came across this neat craft over at Michele made me. I think this would be great for a party with a recycling theme. It shows just how versatile cereal boxes can be. Another idea that popped in my head would be to cut and glue thin strips of cereal box together and then glue circle cutouts ( small or larger) along the strips. You can add string to these globes and hang them from the ceiling and other things for party decorations. I have seen these type globes made out of decorative paper before but these made from cereal boxes that I found at plumpudding will definitely be more sturdy. 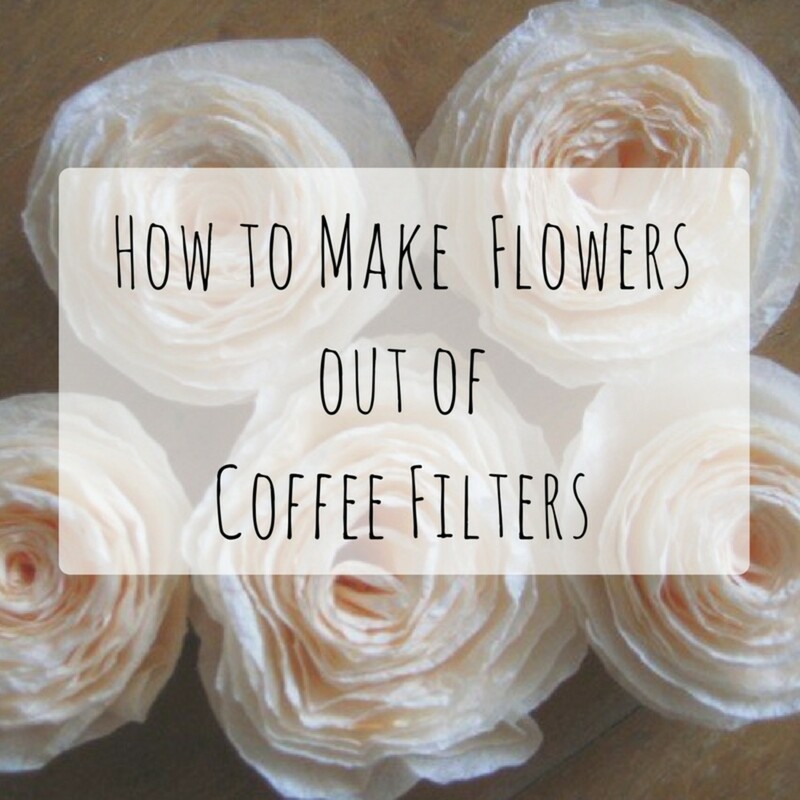 They look great plain but there are lots of ways you could embellish them if you wanted to. You could cover the strips with decorative paper or fabric before assembling, paint them and other things like that. Next up are these cute chandeliers! These were actually made using frozen pizza boxes but you could just as easily substitute cereal boxes to make these: They're made from the same material! 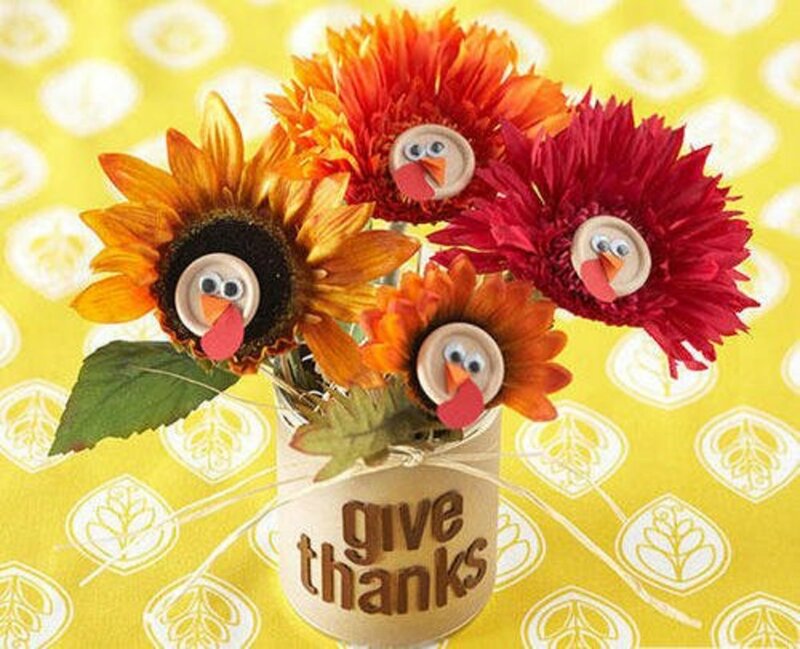 These are really popular and can be used for a lot of party decorations. 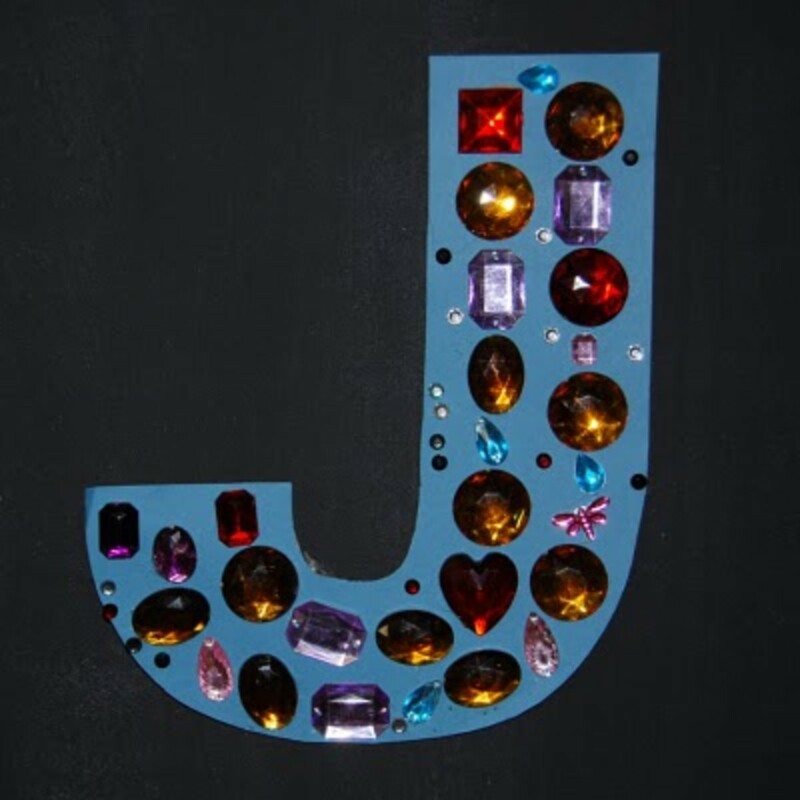 You can add your own rhinestones to embellish it or paint them any color you want. Here's the tutorial. Have fun! Cereal boxes are the perfect size for cutting out large letters! 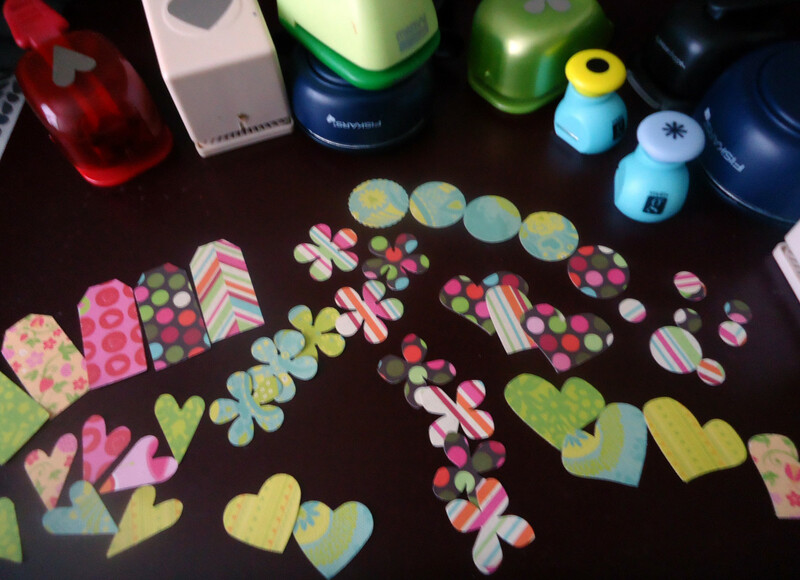 You can cut them out and the material is sturdy enough that you can embellish it with many different things. Kids love this stuff! Make Monthly shares the tutorial. 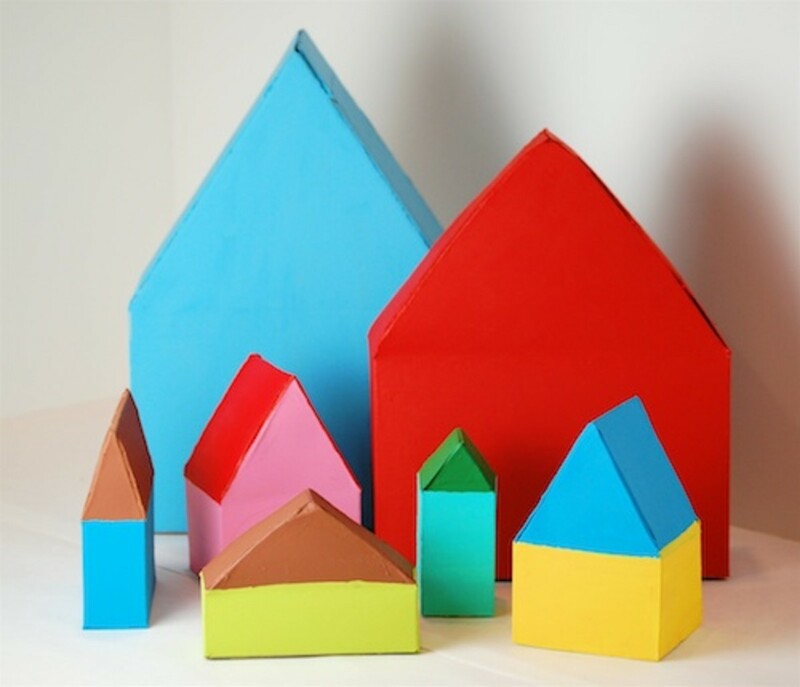 What a cute kid's craft! Be sure to have a look at the other letters. What I really love about this one is that it's not only fun but also educational as well. This is the cutest thing that I've ever seen!! Have your little one build and use their very own laptop! A cereal box is the perfect size for this project. 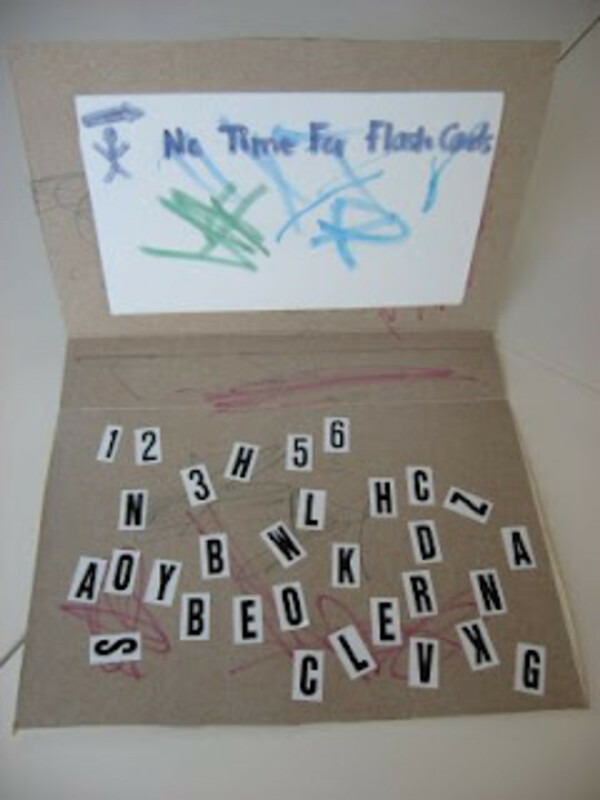 I found this at No Time for Flash Cards, I can't wait to sit down with my 4-year-old and help him make one. It's such a cute idea, and I already know he would be so proud of it. Are these not the cutest cereal box crafts you have ever seen!? I loved them both so much I had to share them both. 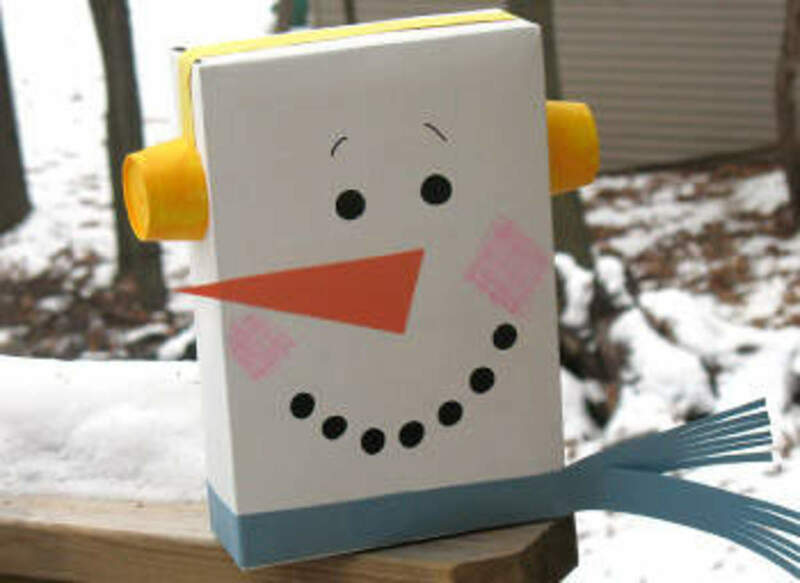 The snowman is the perfect winter craft and isn't it the cutest!! I found this at TeacherTime123 along with a great tutorial. The little houses in the second photo are precious. I had made made my son some houses out of toilet rolls but I'm definitely going to have to give these a try. I was thinking about decorating them even more by adding little roof shingles from square or round pieces of paper, adding windows of cellophane or clear food packaging and things like that. I found these at Bella Dia along with a nice tutorial with lots of photos. Flip-flops are so much fun.. what a neat craft! 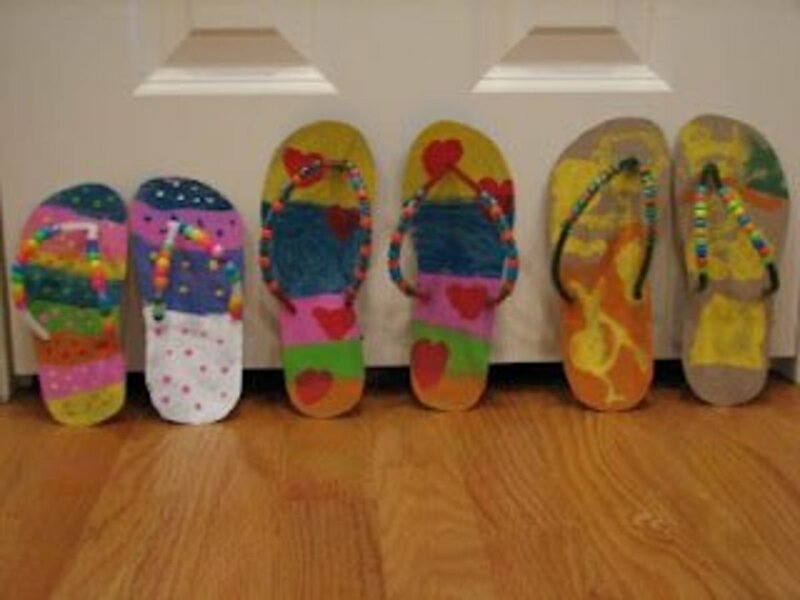 Ramblings of a Crazy Woman has the tutorial for these cute flip flops made from cereal boxes. Just think of all the different designs the kids can dream up! The next photo shows an accordion-style folding flower collage I found at Make and Takes. I love both of these crafts because they are both so bright and colorful! For some of these projects that you have to cut shapes out of the box (like the chandelier, etc..) or even the covered photo mats, a die cut machine will cut them out perfectly, every single time—even through cereal box cardboard. It just lends a more professional look to your projects, it's easier and saves time. However, some people really enjoy the cutting out process and find it therapeutic and relaxing and I understand that too. I just wanted you to know there were other options. sparkleyfinger- Thank you for your comment and for the votes up!! Jonas Rodrigo- Thank you! It really is amazing what you can do with a cereal box. Thank you for dropping by! Kristen Howe- Thank you so much.. I really do appreciate your visits to my hubs!! Jamie, I love all of those ideas, especially the sunburst mirror. Two thumbs up! Excellent hub! I loved the trinket box! Very cute and intricate-looking. With the proper decoration, I think nobody will even notice it was made from a cereal box. Great hub. Years ago I used to do a lot of this sort of stuff and really enjoyed it. Think it’s about time I got creative again. - thanks for the inspiration. 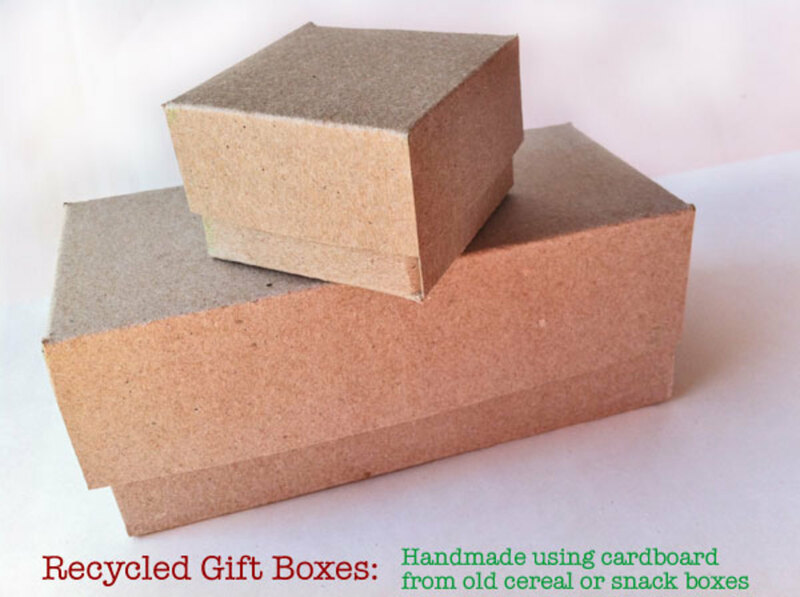 Some great ideas for reusing and recyling cereal boxes! Love it! Voted up and useful. Oh my goodness! These are great ideas. I'm always looking for a new way to create fun things for myself and with kids. You've given me more to work with here! This is so incredibly creative. I just love the large letters. This is almost a lost art form.Hope primary school teachers read your hub. Voted up and beautiful. Great ideas and easy way to give Mother Earth a helping hand!!! This is a really good way of encouraging people to be creative and green at the same time. I like the cardboard laptop the best - it makes more sense than my own laptop :-) Excellent hub! Lil Miss Reader- Thank you so much! Glad you like it :) I love using cereal boxes, frozen pizza boxes, etc. for crafts. That is one thing you never have to run out of! WOW this is an awesome hub!!! I can't wait to try some of these myself! alisharenee- Cereal boxes make great crafts, for sure :) Thank you for dropping by..so glad you will be giving some of these a try! These are awesome ideas! What a great way to reuse something that usually gets thrown in the trash without a second thought. I'm definitely going to have to give some of these ideas a try, thanks for sharing! Au fait- You always have such great ideas! Those globes really would look fantastic all blinged up and would make great party favors to send home... You have inspired me, now I may have to make my own and add some lightweight resin rhinestones. Thank you for the vote up, positive feedback and for sharing with your followers... I appreciate that! amanda watkins- Wow, I love your magazine files, so cute! In fact, would you mind if I feature them?? I can add them here in the 'organization' section. I LOVE how you used maps to cover them. Let me know, and I'll add them right away. Thanks so much for dropping by! You always have so many great ideas! So many of these ideas are super, but I especially liked the hanging files, the gift bags, the magnet organizers (all very practical and cute/pretty), and the globes. I can see the globes as great party decorations that you could send home with gurests and you could even jazz them up a little with paint, glitter, and/or jewels to make them sparkle. 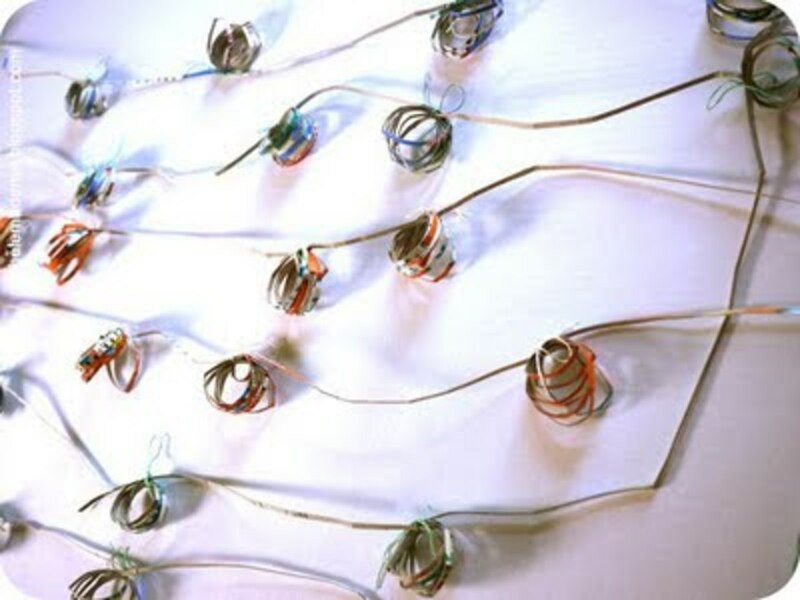 Make them a little smaller and they could be Christmas tree ornaments -- now is a good time to be getting crafts ready for Christmas. It will be here before you know it! Voted you interesting, useful, and as always, your crafting hubs are awesome!! Will share with my followers. LetitiaFT- Thank you! Yes, cereal boxes make perfect gift boxes, I can't believe that I hadn't thought about it before. They are basically made out of the same thing as a regular gift box and can be can be broken down and put back together like a purchased gift box. Thank you so much for dropping by! barbergirl28- LOL! Oops! I hear ya, my husband gets annoyed at me too :) When I asked him to start saving TP tubes he looked at me like I was crazy LOL! So glad you like these... thank you for stopping by and for the pin!! kittythedreamer- Thank you,kitty! I really appreciate the vote up and positive feedback :) Those are two of my favorites too, those and the 3D stars! Lyn- Aww.. thanks! I'm always looking for new and different things to share. They amaze me too. Thank you for dropping by! Hi vespawoolf, you are welcome! I love hearing that you like these. I agree, these really are clever. It's amazing what people can do with things. I bet you could do some of these, you should give a try! Thank you for sharing this hub.. I really appreciate that. Happy 4th to you! Great round-up! 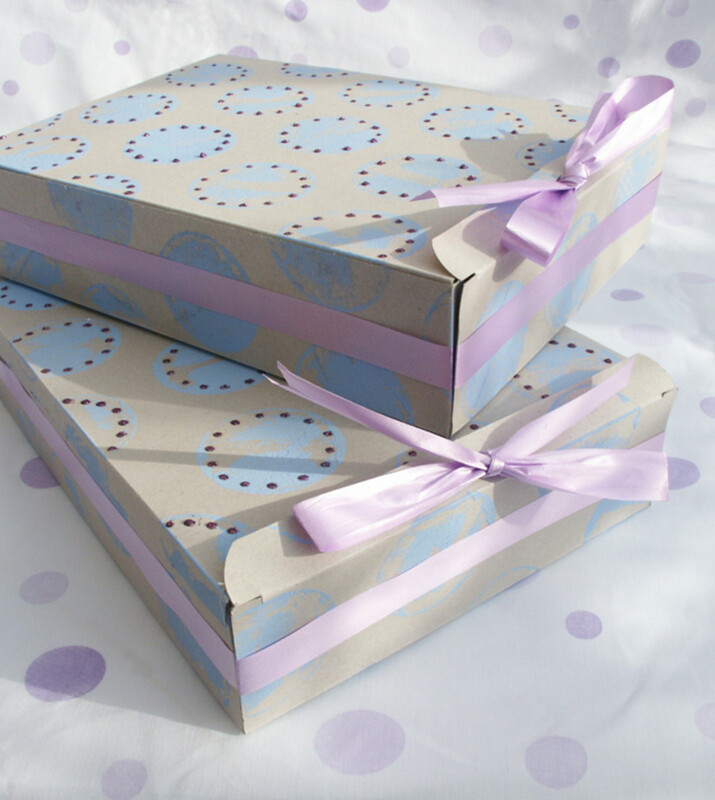 I particularly like the idea of simply covering with beautiful paper & ribbon to make a gift box, and the more complex but beautiful star book. Thanks for sharing. My husband isn't going to like you.... he is already annoyed that I won't throw out any of the toilet paper or paper towel tubes... now cereal boxes... Love these ideas! Definitely gonna pin this for later! Voted up, useful, and awesome. Great job on this one, Jamie. Super creative and unique hub. Love the cereal box globes and 3d chandelier! I can't believe all those things are made out out of cereal boxes- they look just like they were brought from the store (without the huge price tag, of course)! Awesome hub- voted up and shared. It amazes me the things you find and come up with to do with simple items. I love visiting your hubs for inspiration. You have such clever ideas! What a thorough hub with great photos and instructions. I don't know if I have enough talent to pull much of it off, but I'd like to try the storage boxes and cereal box journals. I've saved this for my own use and shared it. Thanks! Hi Rose, I know what you mean.. I never stopped being amazed by these things that are made from normal everyday stuff that usually ends up in the recycle bin or garbage. I can't wait to try a few of these myself. teaches- It's amazing what people can do with normal everyday things, isn't it? I can't wait to try a few of these myself....I don't know if they will turn out as good as these but I'm going to give it a shot. The hanging files were one of my favorites! Great round up as always! It's hard to believe that all of these projects are made out of cereal boxes. It's amazing how much you can transform them. I especially like the photo matte idea. I have seen that before and want to give it a try sometime. 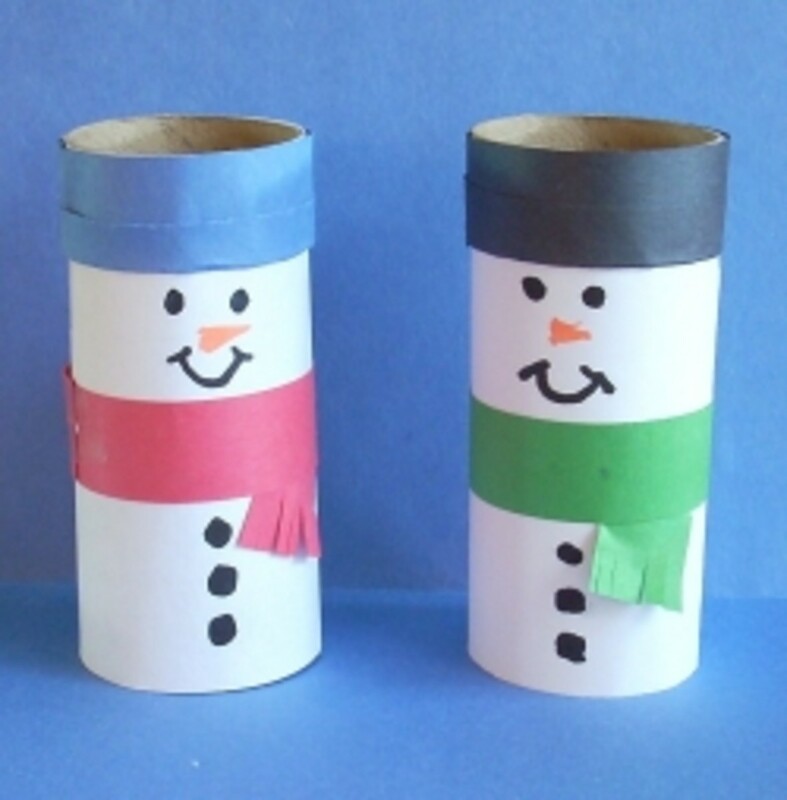 Love the snowman, hanging files and gift box ideas. I don't think anyone could tell they came from cereal boxes. Such a creative and fun idea. Pat, you are so welcome! Thank you for sharing the bag on your blog.. I LOVE it and just couldn't help but feature it! Thank you so much for dropping by, Happy 4th to you and yours! Hi Sunny... Thank you! It's great to see you. Glad that you like these and that I've inspired you to use up some of the stuff in your recycle bin :) Also, thank you for reminding me about my chandeliers! I keep forgetting about my own stuff that I could feature. I will go add them now. Happy 4th of July to you and your family!! moonlake, thank you for the vote! I love that star, too.. it's one of my favorites out of all of them. It's hard to believe it is made from cereal box cardboard!! Another great roundup Jamie! You're reading my mind because I was just thinking about all the cardboard in my recycle pile and wondering what to do. I'm inspired by the cereal box houses and hanging globes especially. 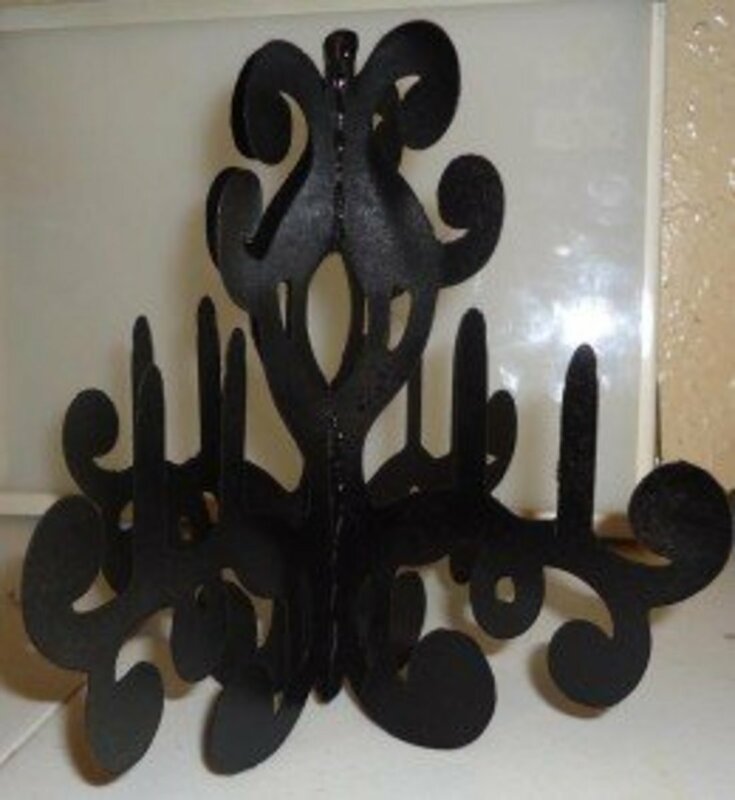 Thanks for all the resources....don't forget to link to your awesome chipboard chandeliers post! Thank you, RTalloni... I LOVE that wreath too. It's amazing to me that those stars are made of a cereal box. Happy 4th to you and yours! Thank you, Bill :) It is pretty amazing what people can do with cereal boxes. Be sure to pass it on to your sweetie.. if she is into this kind of stuff. Take care! So very clever my friend. Very clever! I am more than impressed. Great hub!